Get Out serves as a directorial debut for the Comedy Central legend, Jordan Peele, who not only provides an immersive and adrenaline pumping film. But, he also offers an interesting perspective of social commentary on the liberalism attitude of black people in America. 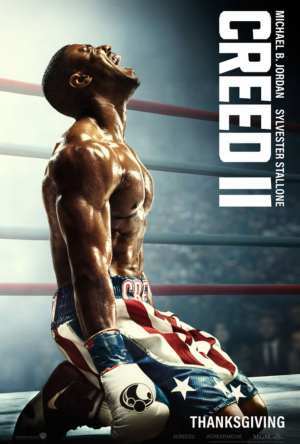 Instead of diving into the political diversity that this film can create, I’d rather focus upon the impressive display of filmmaking skills from a popular comic whose directorial debut reveals his potential in the world of Hollywood. 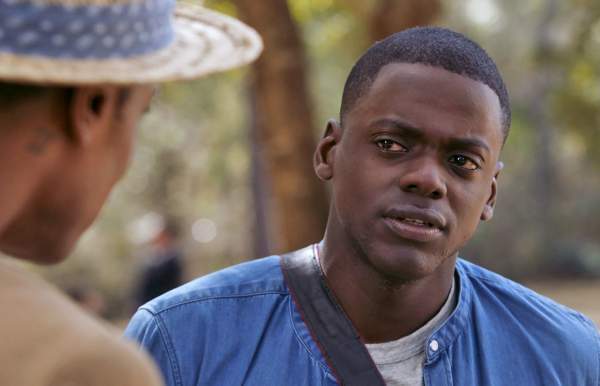 Get Out’s plot focuses on the young black man named Chris Washington and his white girlfriend, Rose Armitage, going up to visit her family estate to meet the parents. After multiple experiences with the all-white family that his girlfriend resides in, Chris then develops even more frightening encounters with the black people that work on this estate for the Armitage family. This plot produces an interesting thrill ride of a horror film that is also combined with humorous and witty dialogue that sets itself apart from its repetitive genre. Jordan Peele provides shock and awe with his directorial effort in Get Out. He not only creates a movie that is filled with ingenuity and distinct characteristics but also constructs a screenplay that contains a combination of ambiguity and eeriness. I don’t usually dissect the inner workings of a film by spoiling plot details or particular scenes, but for the opening shot of this film, I will. So, SPOILER WARNING for the initiation of the film. The opening shot of the film establishes the tone and the artistic effort that was poured into the production of Get Out. Using an opening tracking shot to follow the character of Andrew King in a white suburb. He reveals through little dialogue how he feels out of place and as if he sticks out like a sore thumb. The tracking shot continues to follow him as a white car begins to follow him down the street, and he then breaks the horror cliché of the investigation. Instead, he decides to walk away quickly until he is attacked by a dark and cloaked figure. This opening scene not only reflects the effort that Peele has put into this film but also supplies the plot with ambiguity and intriguement. Peele continues to surprise with his character building and engaging dialogue. He uses comic relief for one in particular character to construct a concealed plot device that builds upon both the narrative and the characters personality. This intuitive idea to use comedy to release tension in a horror movie, not that this has never been done before, serves as an aid to the narrative and tone. With the cinematography, sound design, and production design all being constructed in a very compelling well to create an intriguing horror movie. Get Out continues to deliver with standout performances from Daniel Kaluuya, Allison Williams, and Lil Rel Howery. Lil Rel Howery steals the show with his comical performance that divulges the potential for him in future comedy is driven movies. Daniel Kaluuya though provides the stand out performance in my opinion with his subtle reveals of his character’s personality and traits. He does this beautifully through little things like movement and facial expressions. He has a solid future in film, and he is a genuine prospect that if given the right script could shine in a movie. Allison Williams is also excellent throughout the film, but where Get Out shocked was with its ambiguity. The whole time the tone of the film is filled with eeriness and creepiness. The character interactions are so awkward and uncomfortable that you begin to feel as if you are part of the disturbing stigma that resides in the narrative. The ambiguity, though, continued to keep me off guard and entirely conflicted. With second guessing and conflicting questioning passing through my mind, I continued to become fascinated with this narrative. The flaws of Get Out center around the third acts jumbled and ruffled structure. Though it provides an ending filled uncertainty that I enjoyed, it felt jumbled and divisive from the original tone set in the first and second acts. There is also some incohesiveness in the screenplay as how some of the scares don’t line up with the plot. For example, there is a scare where a man is sprinting at our main character Chris Washington who then darts sideways right before he hits them. Later though when I learned why everything is happening this scare is incohesive with the overall fluidity of the plot. 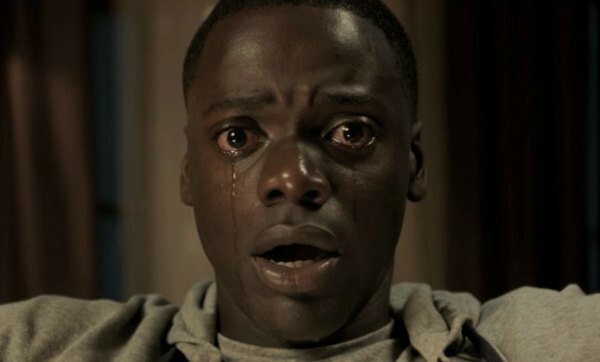 Get Out is a captivating narrative filled with an ambivalence that contains itself with comical dialogue to relieve the tension for small moments until the disturbing horror continues to engulf you. Even though it has a distorted third act deviates a bit from the original tone, Get Out constructs a provocative film that seemingly weaves its incisive social commentary with an intelligent and effective horror/comedy that is supplied with vagueness and an inherently eerie filled screenplay. Rose Armitage: Have you got your toothbrush? Rose Armitage: Do you have your computer? Rose Armitage: Do you have your cozy clothes? Chris Washington: Do they know I’m black? Chris Washington: You might want to, you know. Rod Williams: I ain’t never seen you like this before, bro. Meeting families and taking a road trip, don’t come back up all bougie, man, come back and got your damn pants up to your damn stomach. Officer Ryan: So are you guys coming up from the city? Rose Armitage: Yeah, we’re just heading up for the weekend. Officer Ryan: [to Chris] Can I see your license please? Rose Armitage: He wasn’t driving. Officer Ryan: I didn’t ask who was driving, I asked to see his ID. Dean Armitage: Call me Dean. I’m going to hug you, my man. Dean Armitage: So how long has this been going on, this, this thing? Dean Armitage: We hired Georgina and Walter to help care for my parents. When they died I couldn’t bear to let them go. Missy Armitage: Do you smoke in front of my daughter? Chris Washington: I’m going to quit. Dean Armitage: She can take care of that for you. Chris Washington: I’m good actually. Chris Washington: If there’s too many white people I get nervous. Georgina: No. No. No, no, no, no, no, no, no, no…. Rose Armitage: Are you ready for this? Chris Washington: I’m backing Pete. Rod Williams: So look, I go do my research, apparently a whole bunch of brothers have been missing this summer. Chris Washington: But it’s cool. Rod Williams: How are you not scared of them, man? Chris Washington: It’s good to see another brother of mine here. Andrew Logan King: Chris was just telling me how he felt much more comfortable with my being here. Andrew Logan King: Get out. Andrew Logan King: Get out! Chris Washington: Rose, we got to go. Rose Armitage: Is everything okay? Chris Washington: Rose, the keys. Just give me the keys! Rose Armitage: I don’t know where they are. Missy Armitage: Sink into the floor. Man’s Voice: The mind is a terrible thing to waste. A terrible thing to waste.